Having white pearly teeth is something that a lot of people desire. White teeth are very attractive and immediately take years off your age. But drinking coffee, tea, wine, dark beverages in addition to smoking can take its toll on your teeth. As a result you might end up with very tough stains and yellow unattractive teeth. Teeth bleaching and whitening is a very popular cosmetic procedure that you can do at the dentist’s office. The doctor uses special tools and chemicals and let them work on your teeth to visibly lighten them and remove the tough old stains that everybody hates to have. The process is fast and effective but there are a lot of reasons why a lot of people don’t go for it. For starters, this is a rather expensive process that you have to repeat several times to maintain the results. Since it is a purely cosmetic procedure, it is almost never covered by insurance. Depending on your lifestyle and the substances you normally consume, your results might not last as much as you need them too. Chemical bleaching will lighten the color of your teeth and remove the tough stains but if you drink coffee every day, you will see that your teeth with turn dark soon. Some people also have very sensitive teeth and the tough and strong chemicals that doctors use on the teeth might be too much for them. Sometimes people who haven’t suffered from sensitive teeth tend to suffer from that condition and frequently report it after a teeth bleaching treatment. This is why a lot of people prefer to use an over the counter method that would whiten their teeth and give good results without breaking the bank. Using the best teeth whitening powder can give you gradual but steady results for the best looking teeth. Whitening teeth powders are sold online and in department stores or pharmacies and you will have a lot of options to choose from, so that you can enjoy the best results. How to choose the best teeth whitening powder? 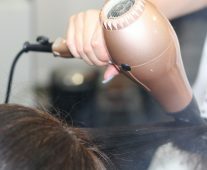 Hydrogen peroxide is a potent bleaching substance. Most of the time, you will find a teeth bleaching powder that contains a safe concentration of this chemical. While your dentist will use a minimum of 35% hydrogen peroxide to whiten your teeth in the office, most OTC products will contain hydrogen peroxide of 10% concentration or less. But some people are not comfortable using hydrogen peroxide or other chemicals because they affect the enamel of the teeth on the long run. Activated charcoal is another efficient safe ingredient that removes the stains from your teeth and gives them a pearly white color. This miraculous black substance gently removes the tough stains without damaging your teeth on the long run. Oil pulling is another potent way of whitening and bleaching your teeth. Some teeth whitening powders contain coconut oil which whitens your teeth while cleansing your mouth. It will keep your teeth looking white and your mouth smelling fresh. Bad breath is a common problem that many people have to deal with. Since you don’t want to use a lot of products every morning or before going to bed, you need to make sure that your teeth whitening powder has additional benefits. Make sure that your teeth whitening powder will keep your gum healthy and will protect your teeth against decay. All-natural whitening products will not harm the enamel of your teeth and will keep your mouth looking healthy and smelling fresh. You need to understand that using all-natural products has its pros and cons. While the teeth whitening products are safe to use for long periods, they actually take more time to show results. You will have to use your teeth whitening product on a regular basis 2 or 3 times a day. You might spend a couple of weeks before you can see visible results. What are the best teeth whitening powders on the market? Activated charcoal is a potent whitening ingredient that will give nice and natural results. This product is safe to use and will perfectly work to remove the tough stains. Made from refined charcoal powder that is derived from the best coconut sources. This potent ingredient will visibly whiten your teeth without damaging your teeth enamel. A natural detoxifier that bleaches and whitens your teeth without using any dangerous chemicals. It brushes like normal. This super easy to use powder will give visible results without damaging your teeth. 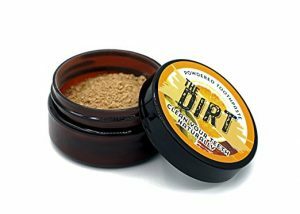 This powder contains bentonite that will re-mineralize your teeth and absorb the toxins. It also contains orange seed oil that helps in soothing your gum with its anti-inflammatory and antiseptic properties to give you the smoothest teeth whitening experience. It is suitable for sensitive teeth. Maintains the health of the gum. Activated food grade charcoal from the best coconut sources. Contains bentonite and orange seed oil to protect the gum while your teeth whitening them. Absorbs the toxins from the mouth to keep your mouth and teeth healthy. You might need to use toothpaste after using it because it tends to leave a residue around the gum line if you just rinse. It will leave quite a mess in your sink if you are not careful. Whitening products that use chemicals tend to strip the teeth of the superficial layer of enamel. This means that you might have pearly white teeth but they will be weak and sensitive. This is why a lot of people prefer to use all-natural ingredients to whiten their teeth. A great all-natural whitening alternative that will gradually whiten your teeth. Activated charcoal that is made from the best coconut sources. It doesn’t contain any preservatives or chemicals. A vegan product that doesn’t contain hydrogen peroxide, fluoride or artificial flavors. It is safe to use on sensitive teeth. It will whiten your teeth without damaging your teeth enamel and this is why it doesn’t cause any pain or discomfort. Can be used with or instead of your toothpaste. It safely detoxifies your mouth while fighting cavities, plaque and bad breath causing bacteria. A vegan potent formula that will whiten your teeth without any harsh chemicals. Naturally removes teeth stains and bad breath. Easier to use than gels, pens, strips and other products that contain a lot of dangerous chemicals. Naturally detoxifies your mouth to remove bad breath, fight gum inflammation and cavities. Perfect to use for whitening sensitive teeth. A natural option to make your mouth feel fresh and healthy. You receive a 3 to 6 months’ supply for a good price. You will have to use twice a day for at least a month before you start to see any results. This is one of the best products that can be used to whiten sensitive teeth. Thanks to the organic gentle ingredients, there will be no pain or sensitivity as you watch your teeth visibly getting brighter and whiter. A clay based chemical free formula that works to remove the tough stains giving you a bright smile. 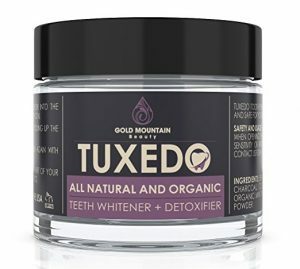 Made from totally unprocessed natural ingredients for people who don’t want to use any chemicals and still want to have white teeth. Bentonite clay and other natural ingredients work to re-mineralize your teeth, thus restoring their natural white nature. Baking soda is a natural whitening and bleaching ingredient. It will work to remove the tough stains that happen due to smoking and drinking dark beverages. The formula contains natural essential oils that work to maintain the health of your gum and teeth enamel. A gluten and soy free formula, suitable for all the family members and people with allergies. You get enough amount to last for 3 month. An orange spicy favorable taste that will keep your mouth smelling and tasting fresh. A natural unprocessed chemical free formula. Natural teeth whitening using baking soda. Helps with the natural process of re-mineralization to restore the natural white color of your teeth. Enough amount to use for 3 months. If you are after the minty breath then this product is not for you. A lot of people feel a little bit skeptical when it comes to using chemicals in dental hygiene. Some chemicals provide good whitening results, but this shouldn’t be the number one concern when you are looking for the best whitening teeth powder. There a lot of natural based products that provide efficient results and on top of that, are perfectly safe. A natural formula that contains no chemicals, bleach, fluoride, artificial colors or preservatives. It is the perfect whitening powder to use if you want steady and visible results without using chemicals. A potent formula that promotes gum health by freshening breath and controlling the tartar buildup. Cleans the teeth and whitens them at the same time. Made from organic activated bamboo charcoal. This has the highest absorption power when it comes to absorbing toxins from the mouth and the teeth. This is why it is very effective in removing impurities from the teeth and the mouth. Bamboo is one of the fastest growing plants on the planet. This means that this product is eco-friendly and has no impact on the environment. It is perfect for sensitive teeth because it will not cause any discomfort or pain. At the same time, the minty fresh flavor will keep your mouth smelling fresh all day long. An all-natural formula that doesn’t contain any chemicals or artificial components. Made from organic activated bamboo charcoal. An effective potent formula that whitens your teeth and maintains the health of the gum. Natural peppermint flavor to keep your mouth smelling fresh. Since it is a natural formula, it tends to work slowly and gradually to whiten your teeth. When you are looking for a product that will whiten your teeth, you need to make sure that it will not harm your enamel or cause any problems on the long run. This product is safe and gentle on the teeth as it whitens them gradually for the best results. 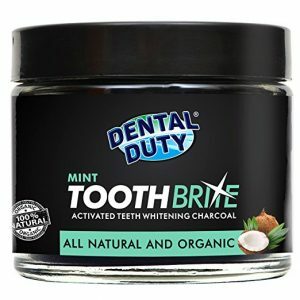 A safe product made from activated coconut charcoal that is known for its antifungal and antibacterial benefits to whiten your teeth while keeping them healthy. A gentle formula that is perfectly appropriate for sensitive teeth. It will keep your teeth healthy while removing different food and drinks stains over time. It doesn’t harm the enamel of the teeth. In fact, it promotes the health of teeth and gum for the healthiest teeth that always look white and bright. This whitening powder is appropriate for the entire family and doesn’t contain any toxins or chemicals. It is colors, preservatives and fluoride free. It doesn’t contain any foaming agents or abrasive substances that can harm your teeth on the long run. A vegan cruelty free product that will whiten your teeth by 2 to 3 shades with continuous and consistent use. A safe all-natural formula to whiten your teeth gradually. A vegan cruelty free formula that is appropriate for the whole family. Contains activated coconut charcoal that has antibacterial and antifungal properties. 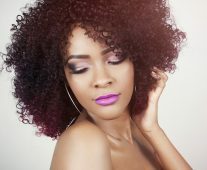 Chemicals, colors and preservatives free. Promotes the health of the teeth and the gum. Gradually whitens your teeth and removes tough stains. It is a bit messy to use. It gives rather slow but steady results. You will have to use it for at least a month to see visible results. For some people, finding the best teeth whitening powder is not enough to get the results that they desire. The whitening powder can be incorporated with your overall dental hygiene regimen for the best results. Whitening powders can be a bit messy to use and sometimes they leave a residue on your teeth so that you have to use the right toothbrush and toothpaste to make sure that you are cleaning your teeth thoroughly. These products work combined with the whitening powder to remove the stubborn dark stains on your teeth and prevent the formation of new ones. Using a potent toothbrush that is already infused with activated charcoal can double the benefits of your teeth whitening powder. This is the best whitening toothbrush with activated charcoal to get the double the benefit of your teeth whitening powder. Moisten your toothbrush and dip it in the powder to efficiently remove the stains off your teeth. A special toothbrush that is designed for deep cleansing your teeth. The bristles are infused with activated charcoal that actively and naturally whitens your teeth as it removes the tough stains. The bristles are 17 times slimmer than other products and this makes it is a very gentle toothbrush to use. They are also able to reach all the hard to reach places in your mouth. Compared to other toothbrushes, this will be able to reach between the teeth and efficiently clean your gum line for the healthiest teeth and gum. Because this toothbrush is rather soft, it will not harm your teeth as you use the teeth whitening powder since too much scrubbing can harm the enamel of your teeth. This is the same reason why this toothbrush is highly recommended for people with sensitive teeth. It comes in a pack of 3 brushes for the whole family. It can be used with your regular toothpaste or with your teeth whitening powder to whiten your teeth gradually by removing the tough food stains. Perfect for deep cleansing your teeth, between the teeth and the gum line. Super soft bristles that are gentle on sensitive teeth. Comes in a pack of 3 brushes. Bristles are slimmer than other products on the market to reach all the hard to reach places. The toothbrush is infused with activated charcoal that will whiten your teeth by removing stains. Can be used with a whitening powder or after it is used to remove the residue between the teeth. It can also be used with regular toothpaste. This toothbrush is not BPA free. Having a complete dental hygiene program is a must if you want to have the best results. Coffee lovers and smokers know how difficult it is to remove those tough stains. 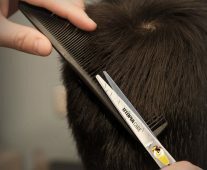 But using the right products can speed up the process and improve the results. A whitening toothpaste can help people with tough stains get better and faster results. This is an effective and potent toothpaste that will remove the stains off your teeth while keeping your mouth healthy and fresh. The active charcoal formula will whiten your teeth while eliminating bad odor. A natural herbal extract formula with active charcoal to clean and whiten your teeth. This potent formula will remove tough stains while promoting dental health. An effective triple action formula that removes and kills bacteria, removes the bad odor and keeps your mouth smelling fresh. Combines the benefits of herbal extract and activated charcoal to give you healthy bright teeth without harmful chemicals and this makes it perfect for sensitive teeth. A vegan gentle formula that can be used every day to protect your teeth and gum. It can be combined with your teeth whitening powder or used alone to keep your teeth looking good and feeling healthy. A natural effective formula that will keep your teeth healthy and your mouth smelling fresh. Removes stains gently and kills the bacteria that cause bad breath. A triple action formula that works to eliminate bad odor and mask it. A vegan formula that you can use alone or with teeth whitening powder and works perfectly for sensitive teeth. Some users were not fond of the taste. Regular brushing, flossing and rinsing are essential for the health of your teeth and gum. It might work to keep cavities and teeth decay at bay but it might not be able to remove the tough dark stains. Some kinds of food and beverages have very stable colors or dyes. These colors penetrate through your teeth and turn to hard to remove unattractive stains that make your mouth look so unhealthy. This is where whitening products come in handy. The best teeth whitening powder will remove the tough stains and prevent the formation of new ones. Choosing the right product will promote the health of your teeth and gum and keep you feeling fresh and healthy. Did you know that LED lights can speed up the teeth whitening process?